Kansas guard Devon Dotson (11) drives the ball up the court against Vermont guard Skyler Nash (1) during the first half, Monday, Nov. 12, 2018 at Allen Fieldhouse. Stanford enters this game as one of the worst teams in the country at taking care of the basketball. The Cardinal ranks 314th among 353 teams in turnover rate, at 22.6 percent of possessions, which means Stanford is giving the ball away more than one out of every five possessions. While that creates a situation where Stanford’s offense is missing out on potential points, it also often has led to Stanford’s opponents getting easy baskets off of those turnovers. The Jayhawks rank pretty close to the national average in terms of forcing turnovers — 179th at 18.8 percent — but have the personnel, particularly at home, to create chaos and pick up easy points in transition. Add to that the fact that Stanford is one of the youngest teams in the country, and this looks like a good game for KU’s veterans on the perimeter — Lagerald Vick, Marcus Garrett, even Charlie Moore — to lead the charge toward making life miserable for the visiting team. Through five games, KU’s opponents have attempted 63 more 3-point shots than the Jayhawks this season. 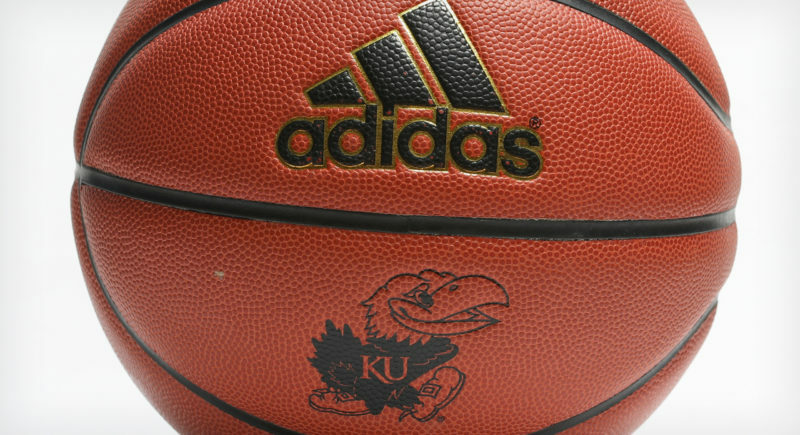 Kansas is outshooting its opponents from behind the arc — 44 percent to 38 percent — but if the Jayhawks have been living dangerously in that department and if those numbers draw closer together, KU could find these close contests quickly going the other way. Stanford’s defense allows the nation’s lowest percentage of 3-point attempts per game (23.6 percent of total field goals) and also ranks third-to-last in terms of assists, creating offense off of the pass on just 32.6 percent of its possessions. Stanford made just two of 16 from 3-point range in its recent win over Portland State and has made just two 3-pointers or less in three other games this season, including 2-of-18 in a loss to Wisconsin and 2-of-15 vs. UNC-Wilmington. Beyond that, KU’s defense has allowed the ninth-highest percentage of 3-point offense (opponents are scoring 42.6 percent of their points against KU from behind the 3-point line). While that has been a clear plan of attack for KU’s opponents this season, Stanford might not be best equipped to continue that trend. The Cardinal records just 25.9 percent of its total points from 3-point shots, which ranks them 301st in the country in that category. The Jayhawks enter this one shooting just 63.8 percent from the free-throw line for the season, which includes a 38-of-58 clip during last week’s wins in New York. KU coach Bill Self said after the win over No. 5 Tennessee that Kansas could not continue to shoot 60 percent from the free-throw line and expect to win. As expected, big man Udoka Azubuike is at the bottom of the list of KU’s free-throw shooters, hitting just eight of 22 from the charity stripe so far this season. 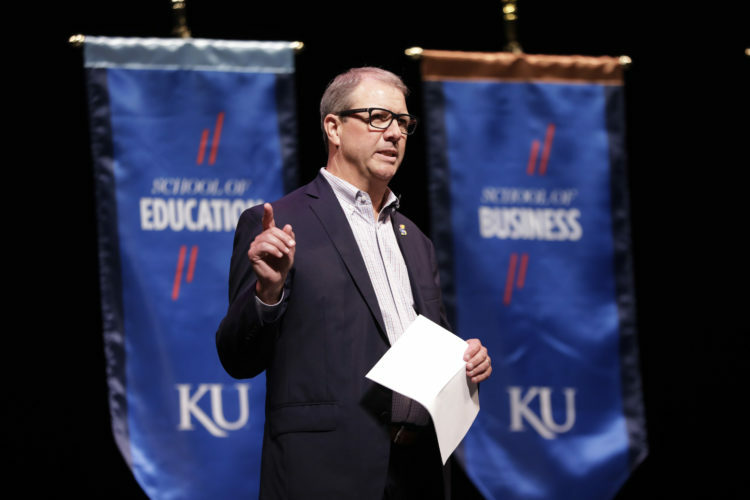 But four other KU regulars are shooting 67 percent or worse at the free-throw line, including starting freshman Quentin Grimes at 61.5 percent (8-of-13). KU shot 71 percent from the free-throw line a season ago and is allowing its opponents to shoot 72 percent from the line on 41 fewer trips. The roster vitals show it and Stanford coach Jerod Haase said it himself: Azubuike is as tough of a matchup as there is in all of college basketball. But his impact on this Kansas basketball team goes well beyond the massive size advantage he gains for the Jayhawks near the basket. And that’s what makes it so important for him to stay on the floor. Whether he’s scoring easy baskets or just being a presence opponents have to worry about, Azubuike changes the game whenever he’s on the floor. Because Dedric Lawson has been so hot of late, the Jayhawks have survived with him at the 5 and Azubuike on the bench. But the goal is still to have Azubuike inside and let Lawson operate in space away from the rim. Putting that plan together remains a work in progress but Kansas won’t make up any ground on it if Azubuike continues to pick up silly fouls. In KU’s five games thus far, he has finished with four, two, three, four and five fouls. That constant foul trouble is part of an ongoing trend, as the 7-footer had zero games with zero fouls and just one game with one foul as a true freshman and only three games all of last season where he finished with one foul or less. Self said this week that he was pleased with Azubuike’s start overall but added that the big guy has to be more aware that all eyes — and, therefore, whistles — are on him when he’s in the game. 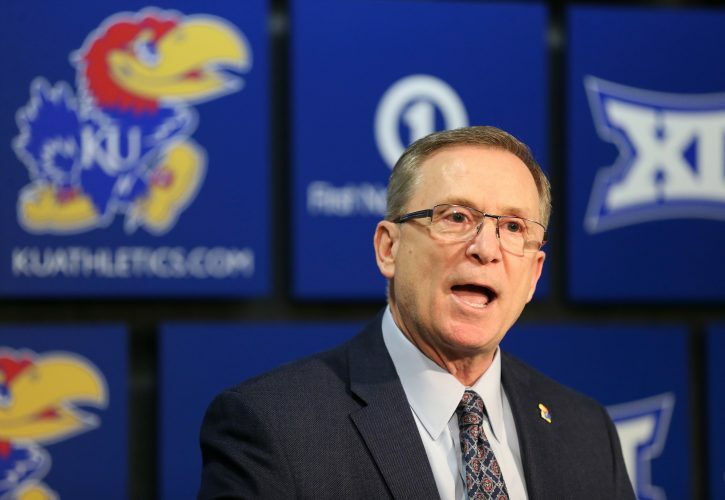 Five games into the 2018-19 season, the Kansas men’s basketball team remains unbeaten and might already have played three of the toughest games it will have all season. The opener against Michigan State was a showcase for what this team is capable of when things are clicking and last week’s wins over Marquette and No. 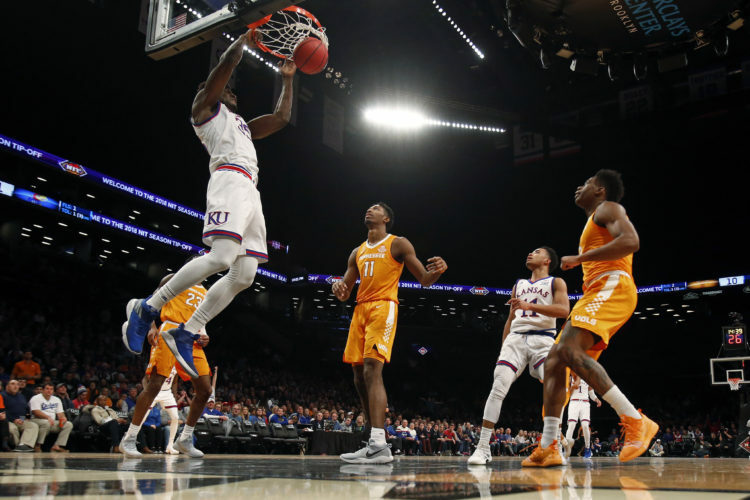 5 Tennessee in New York City demonstrated KU’s ability to grind and, yet again, illustrated just how important depth might be for Bill Self’s squad this season. Now, after a week off, the Jayhawks jump back in with a Pac-12 showdown with Stanford, which they have defeated in each of the past two seasons. Kansas leads the all-time series with Stanford, 10-3, but is just 2-2 in the past four meetings, with regular season victories in 2017-18 and 2016-17 following up a second-round NCAA Tournament loss in 2014 and a six-point loss in a regular season showdown in Anaheim early in the 2003-04 season. Las Vegas lists Kansas as a 19-point favorite in today’s game. C – Udoka Azubuike, 7-0, 270, Jr.
G – Cormac Ryan, 6-5, 190, Fr. G – Daejon Davis, 6-3, 185, Soph. F – Bryce Willis, 6-6, 195, Fr. F – Oscar Da Silva, 6-9, 225, Soph. F – KZ Okpala, 6-9, 215, Soph.